Jamie at Perpetual Page Turner posted this survey about books and blogging at the beginning of December but I felt I had to wait until the official end of my year’s reading before posting my answers. You just never know when a brilliant (or terrible) book is going to jump out at you. I’ve got three books on the go at the moment that are likely to be my last reads of the year but as I seem to have completely abandoned reading as my preferred entertainment this week I’m unlikely to finish any of them. Best Book of 2010: Adrian Hyland’s Gunshot Road tops my ‘best of’ list this year. Its combination of beautiful writing, great storytelling, heart-wrenching characters and humour won me over completely. All that and Australian too. The rest of my top ten (or so) will be revealed later in the week when I have whittled it down from its current 30-ish. Worst Book of 2010: I don’t talk about the books not finished anymore (after a run-in with a grumpy author whose book I didn’t finish) so of those that I finished Luis Miguel Rocha’s The Last Pope stands out as the most egregious waste of dead trees. Most Disappointing Book of 2010: I think it has to be Tom Rob Smith’s The Secret Speech. It wasn’t terrible but it just didn’t hook me in or make me care about its characters in the way its predecessor did. Most Surprising (in a good way) Book of 2010: Jo Nesbo’s The Redbreast. I had abandoned the book a year earlier and only picked it up again after responses to my poll forced me into it. Happily I managed to get past the things that had made me abandon the book and I fell in love with its main character Harry Hole. 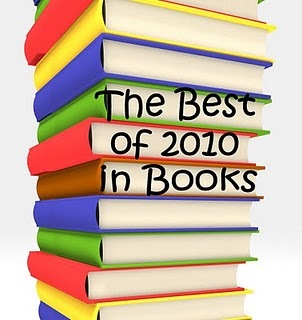 Book You Recommended the Most to People in 2010: Adrian Hyland’s Gunshot Road, Elly Griffiths’ The Crossing Places. Or any of the other books I discuss in this post. Elly Griffiths’ books featuring forensic archaeologist Ruth Galloway are entertaining, intelligent and funny. What’s not to like? This year I read the first two books in the series (The Crossing Places and The Janus Stone) and have ordered the third book, The House at Seas End, to be on its way to me as soon as it is published in early January. I also read two books from Nevada Barr’s series featuring American national parks ranger Anna Pigeon this year. Borderline and Hunting Season were both excellent books, evoking a wonderful sense of their location and teaching me a thing or three about American history. I listened to both in audio format by an award winning narrator Barbara Rosenblat and have added several more of the series to my audible download queue for next year. Favourite New Authors Discovered in 2010: 82 of the books I read this year were by new (to me) authors and I discussed these at length a few days ago (although since that post I read Martyr by Rory Clements which I hadn’t intended to read yet). I’m not sure yet which of the authors will become long-lasting favourites but I suspect that Ariana Franklin, Belinda Bauer, Hakan Nesser, Jo Nesbo, Kwei Quartey, Martin Edwards, Rob Kitchin and Shona MacLean are going to stick with me in addition to the authors mentioned above. Most Hilarious Read of 2010: (Colin) Bateman’s Mystery Man which was responsible for me becoming one of the (many) crazies on public transport (though I maintain that my giggling is less annoying than someone shouting into their cell phone about what they’re having for dinner). Most Thrilling Unputdownable Read of 2010: Both of the South African thrillers I read by Deon Meyer (Dead at Daybreak and Thirteen Hours) were heart-stopping page turners as were Linwood Barclay’s Never Look Away and Alex Scarrow’s Last Light. I would happily recommend any of these to anyone (except insomniacs). Books You Most Anticipated in 2010: After being captivated by his first novel in 2009 I was very much looking forward to Swedish author Johan Theorin’s second book The Darkest Room this year. Happily it did not disappoint and though a quite different tale to his first was equally absorbing. Most Memorable Character of 2010: The aforementioned Harry Hole (from Jo Nesbo’s series) and Ruth Galloway (from Elly Griffiths’) are definite highlights and people I will revisit often. But I think it might be Belinda Bauer’s creation, 12-year old Steven Lamb who appeared in Blacklands who sticks in my mind the longest as a standalone character. He is a wonderful creation: starved for affection and determined to ‘fix’ his broken family he is a truly compelling and memorable character. I also keep reflecting on Garbiel Alzira, a man who has been told by a psychic that he will kill someone before he turns 30, and his mother who is obsessed with him from Luiz Garcia Alfredo-Roza’s Southwesterly Wind. Most Beautifully Written Book of 2010: two Australian writers snag this title for me. Adrian Hyland’s Gunshot Road and Peter Temple’s Truth (which I never did manage to write a sensible review of). The writing in both is very different but both are brilliant examples of their craft. Book That Had the Greatest Impact on You in 2010: Books impact me for different reasons but A Thousand Cuts (also published as Rupture) by Simon Lelic is truly a superb piece of writing about bullying and the impact that even innocent-seeming words and actions have on those around us. Every time there is some kind of shooting or incident that appears impossible to explain on the news I am reminded of this book and I wonder what events in the perpetrator’s life led to them carrying out their actions. I also wonder if there was a point at which such a thing could have been averted if the right words had been spoken. Or not. Book You Can’t Believe You Waited Until 2010 to Read: Roseanna by Swedish husband and wife team Maj Sjowall and Per Wahloo was written and published two years before I was born so I could have gotten to it much earlier than 2010. Happily it is not dated at all and was as good a read this year as I’m sure it was 45 years ago and if the nine subsequent books in the Martin Beck series are as good then I have lots of treats ahead. Book with the best ending: Ken Bruen’s The Dramatist. It’s like being punched in the stomach by a heavyweight boxer and though horrid is the perfect ending for the story. I am utterly fed up with good books being spoiled by rubbishy endings that wrap things up neatly and/or fancifully that I am in awe of Bruen for doing it the hard way. Feel free to tell me your books in any (or all) of these categories. Great post Bernadette and quite a number of interesting books to be added to my wish list, particullarly those Elly Griffiths’ books. And you are absolutelly right regarding Adrian Hyland’s Gunshot Road. Agree on much of this, for the books I read. Try reading “The Reversal,” by M. Connelly for the best of Mickey Haller and Harry Bosch dealing with a horrendous case. As a board-certified insomniac, I love reading Linwood Barclay’s books all night, as well as M. Connelly’s, Deon Meyer’s, Indridasson’s, and Nesser, and whatever else comes up. Elly Griffiths’ is my new favorite series, except that Teresa Solana’s debut book is the start of a wonderful series, which I’ll ever fork over dollars to get as they come out. I loved “Gunshot Road,” for the same reasons, loved Emily Tempest, the culture of the Indigenous people, the respect for them and their beliefs. I like Southwesterly Wind about Inspector Espinoza in Brazil, and I’ll follow this series, and I just started Shamini Flint’s Inspector Singh Investigates, another series for me to read. Am also into the Camilleri – Montalbano series, and, of course, Martin Beck fits in here handily, too. 2011 will be a tension rope walk between familiar authors and series, and the unknown great books being published. What a great post, Bernadette. I’ve read most of the books in your post and agree very much on your views. (I now must try Nevada Barr and (already on my potential read list) Tersea Solana. Good spot about the Harrys! I really enjoyed reading this post, as it reminded me of these excellent books and why I liked reading them. Great post and when I am feeling better [cough ,cold, stomach, manflu] I will try and do a similar post. Bernadette – What an excellent post! You’ve outlined some really terrific books and I am glad you had as many good reading experiences as you did. I’ve got to agree with you on just about all of your “takes,” too. And yes, there are a lot of Harrys out there..
Elly Griffiths, Johan Theorin and Jo Nesbø are also among my favourites. I have some of your good experiences on my TBR (Barbara Fister, Colin Bateman, Adrian Hyland), but I should probably also try out Nevada Barr and Shona MacLean. Look forward to the ten “best of 2010” mysteries’ list, but if the nonwhittled-down list of 30 were posted, it would be noted as well. Thanks. Kathy I will be reading my first Shamini Flint book next year and am looking forward to it. I also think I’ll be revisiting Michael Connelly/Harry Bosch – I am ripping through The Overlook which is always a good sign. And yes, you’ll get a list of ALL my favourite books for the year.